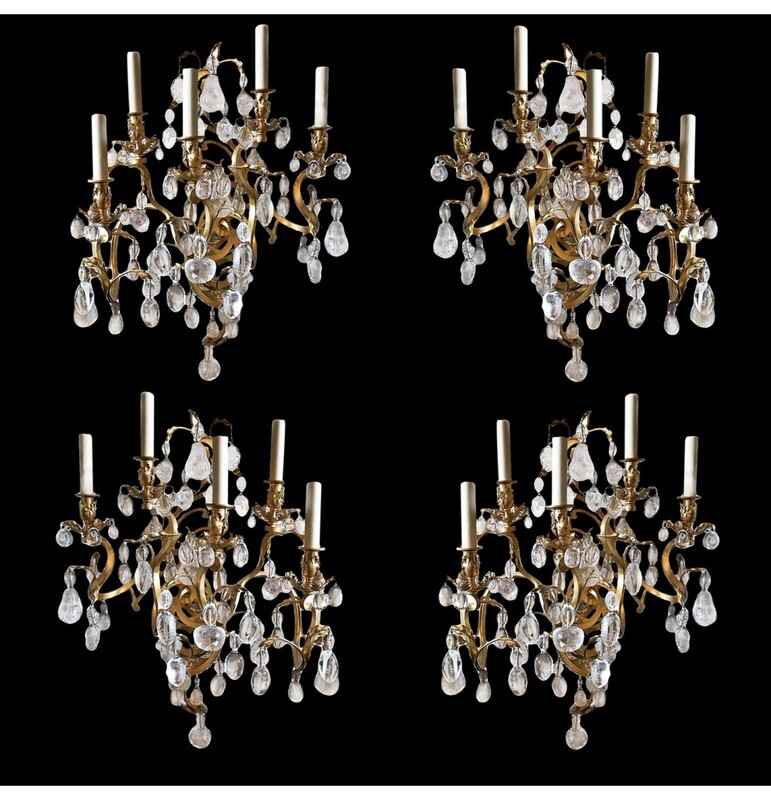 Set of 4 Bronze and Rock Crystal Sconces – Set of 4 gilded bronze and rock crystal sconces. France. Circa 1900.